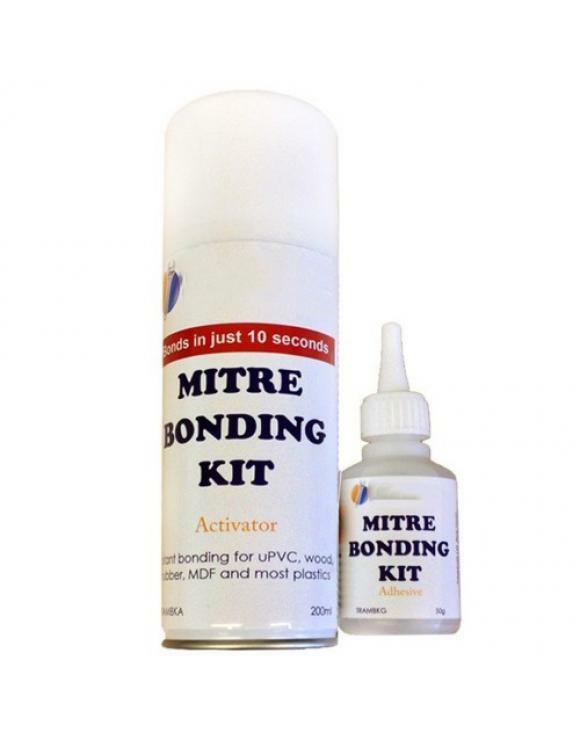 200ml of Mitre Bonding adhesive. Create your own Horizontal 90° Handrail turns using the Mitre Bonding Kit, a 2 part adhesive designed to bond timber with 10 seconds. The surface to be glued should be clean and free of dust , grease and other contaminants. Spray the activator onto one of the surfaces only and allow to evaporate. Apply the adhesive to the other surface to be bonded, bring together, hold for 10 seconds. Curing will be almost instant. 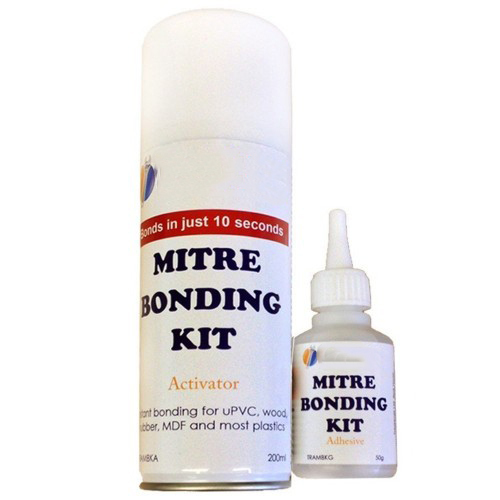 A two part mitre bonding adhesive system containing an adhesive and an activator. It is designed to dramatically reduce assembly time compared with conventional wood adhesive. Suitable for the instant bonding of MDF, chipboard, wood, rubber, uPVC, metals and most plastics. The surface to be glued should be clean and free from grease, dirt and dust. Spray the activator on to one surface and allow to evaporate. Apply the adhesive to the other surface. Bring both surfaces together and hold for 10 seconds to allow the bonding to occur.